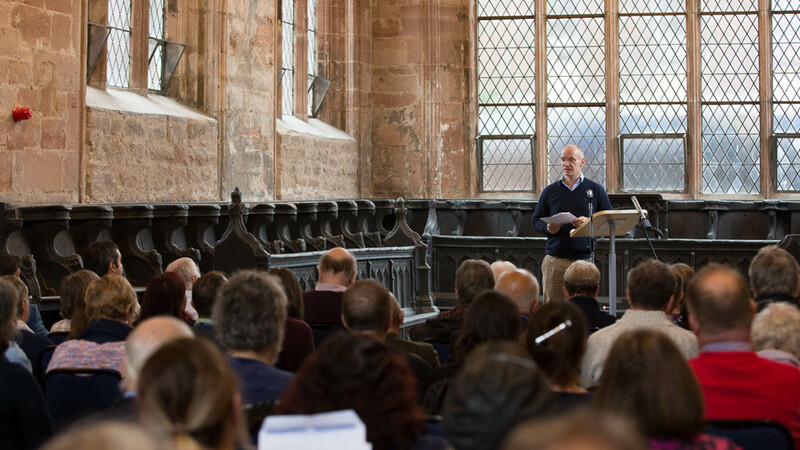 The Medieval Coventry charity has been established to share knowledge about medieval Coventry and to celebrate its rich heritage. The proceedings of our highly successful conference on 29 September 2017 are now available on video and will be published as a book in 2018. 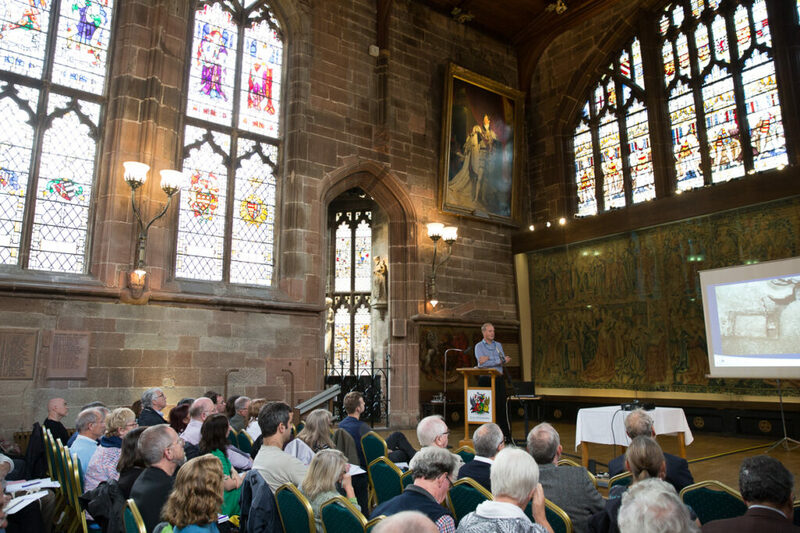 Our charity aims to share knowledge about Coventry during the medieval period (c. 1100 to c. 1540) in new, innovative ways, including the use of the latest digital technologies. We are a charity run by a small group of volunteer experts known as the Coventry Medieval Group. We have set up the charity to share knowledge about the history of medieval Coventry. We are currently working on a number of projects, including a Virtual Reality Model of Medieval Spon Street and a self-guided walking tour app called Coventry’s Medieval Treasures: a digital discovery. The projects enable you to explore Coventry’s medieval history in a new, innovative and fun way. Planned for 2018, this self-guided walking tour app will take participants to waypoints across the site of the medieval city where they’ll encounter the beautiful medieval buildings in the midst of the urban landscape. 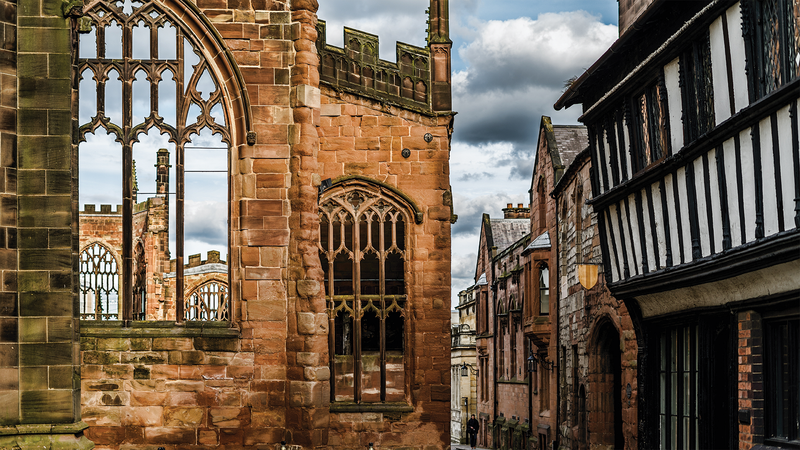 They’ll also see the long-lost medieval buildings and streetscapes that were captured over a hundred years ago in stunning watercolour paintings, prints, engravings and photographs, and discover some intriguing facts about medieval life in Coventry. 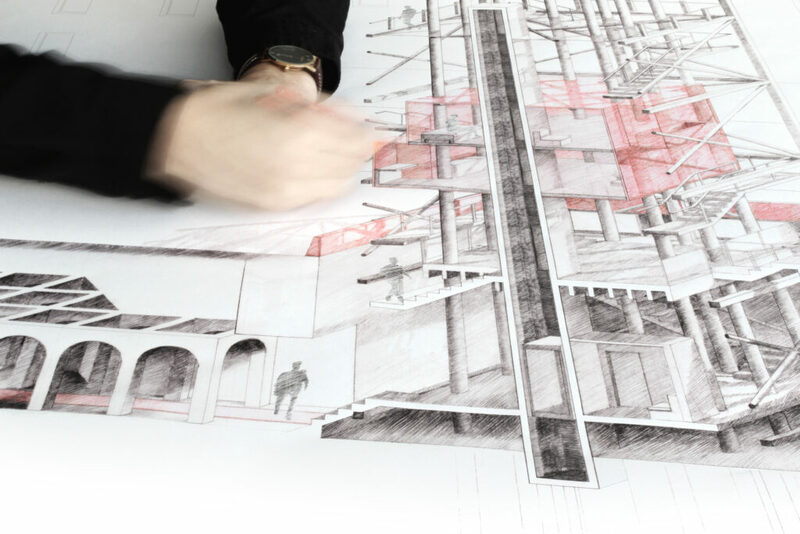 In connection with the University of Warwick, a virtual reality model of Spon Street in around 1500 is being created using the latest multi-sensory technologies used in the motor industry. 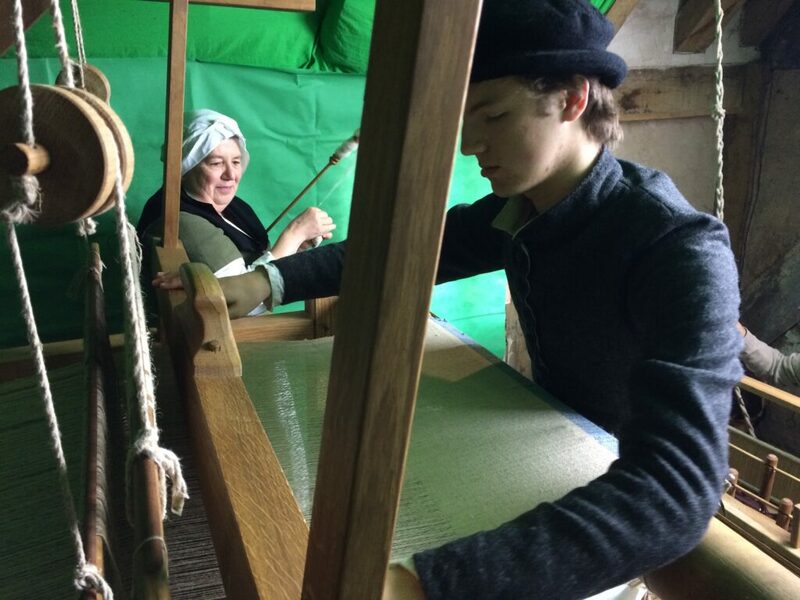 Viewers will be able to walk through this medieval crafts and industrial area and see the sights, sounds and smells of medieval tanning, weaving and dyeing. We held a highly successful conference at the Old Grammar School and St Mary’s Hall on 29 September 2017 attended by over a hundred people. Talks by eminent speakers from the UK, Ireland and the USA focused on new research into medieval Coventry and delegates had the opportunity to view some of the magnificent medieval archives, including the Charter of Incorporation, that were especially put on display at the Herbert’s History Centre. All Along the Watchtowers is an architectural design which references the twelve medieval towers that were an integral part of Coventry’s city wall. 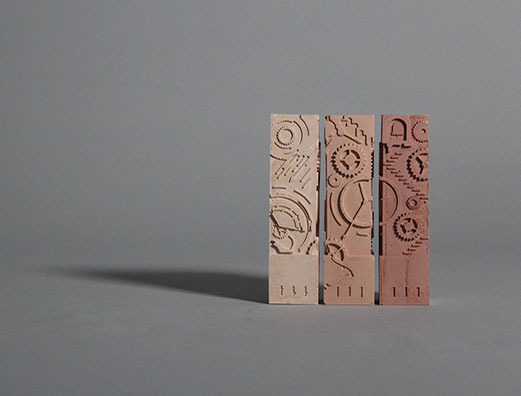 The design reimagines the gatehouses for the 21st century through lifesize site-specific architectural sculptures linking Coventry’s medieval past with its creative accomplishments. Coventry has a medieval documentary archive and archaeological collection that is of national significance and deserves to be better known. 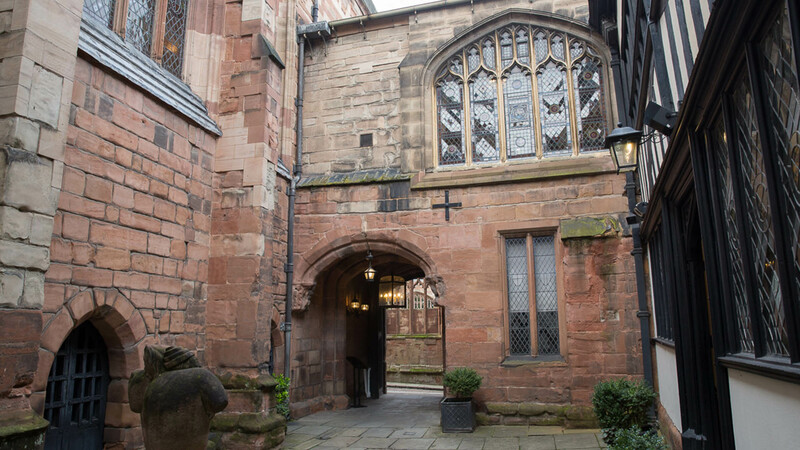 The Medieval Coventry charity is working with the Herbert Art Gallery and Museum to achieve Arts Council England Designation status for the archive. It is hoped that this will be followed by a project to digitise the archive to make it more available for research and for general public access. 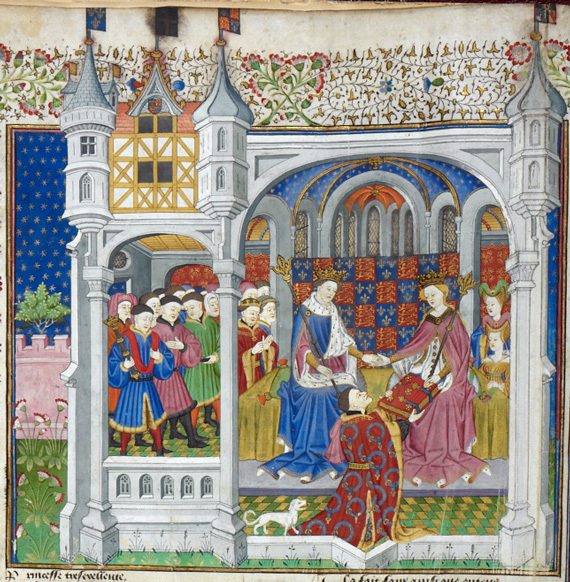 Margaret of Anjou (1430–1482), depicted in the Talbot Shrewsbury Book Credit: © The British Library Board, Royal MS 15 E VI. Issued under Creative Commons License. Medieval Coventry and the University of Oxford will be demonstrating the results of its research partnership into these two French queens, wives of English kings, who had a significant impact on Coventry in the 14th and 15th centuries and beyond. The exhibition is sponsored by Coventry City of Culture Trust and the Heritage Lottery Fund/Arts Council. Coventry, Shakespeare and The Wars of the Roses – a dramatic retelling with narration by TV historian Dr Jonathan Foyle.